Scholastic Book Orders are due tomorrow, October 30. Checks only please, made out to scholastic book orders. Tomorrow is Saints dress down! Students may wear black and gold with blue jeans and school shoes. Go Saints! NO SCHOOL on Friday, October 31! This week (October 27- October 31) in Bible we are going to review “Elisha Helps a Widow Lady”. Our memory verse is Psalm 106:1. Since it is a short week we will be reviewing our memory verses and there will be NO assessment. There will be NO SCHOOL Friday, October 31!!!! This Tuesday, October 28, we will have a Crazy Hair/Hat Day in Pre-K 4 in honor of letter H! Children may come to school with their craziest hair or hat!! SIGNED report cards were due back to school last Friday. If you have not returned yours yet, please do so. Show and Tell for the letter H will be on Thursday, October 30. Please bring a show and tell that can fit inside of your child’ s backpack. Tumble Bus money ($5.00) and permission slips were due today! The Tumble Bus is coming to VCA on Monday, the 27th. Please send money and slip on Monday if you have not already done so. Scholastic Book Orders were sent home today. These are due back by Thursday, October 30. Checks only please! Earlier this week I had the kids paint moose ears, without telling them what they were painting. They were trying to guess all week what it was that they had painted. 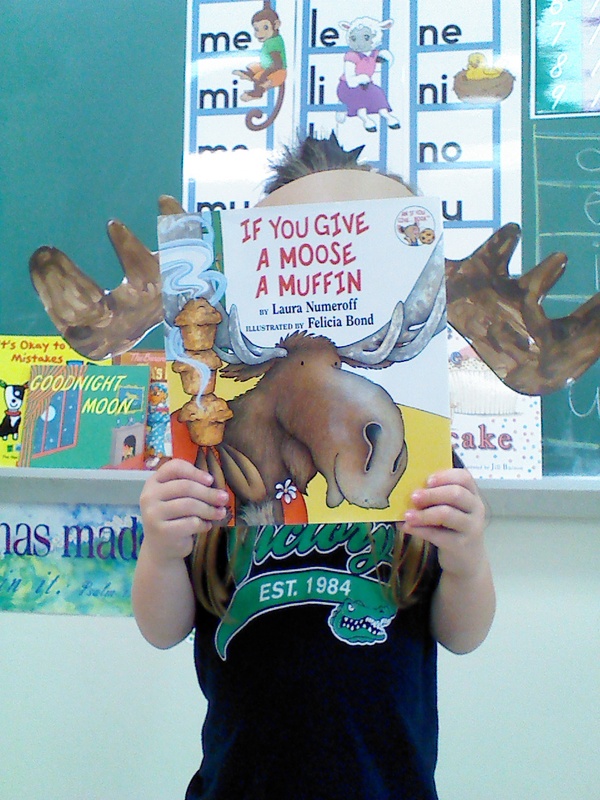 🙂 today I told them what the ears were and surprised them with muffins to eat while I read “If You Give a Moose a Muffin”. They were SO excited! Happy Friday! Signed report cards are due back this Friday! Tumble Bus permission slip and $5 is due this Friday! The tumble bus is coming Monday, October 27. This week (October 20-October 24) in Bible we are going to review “King David is Kind”. Our memory verse is Psalm 118:1. There will be an assessment this Friday! 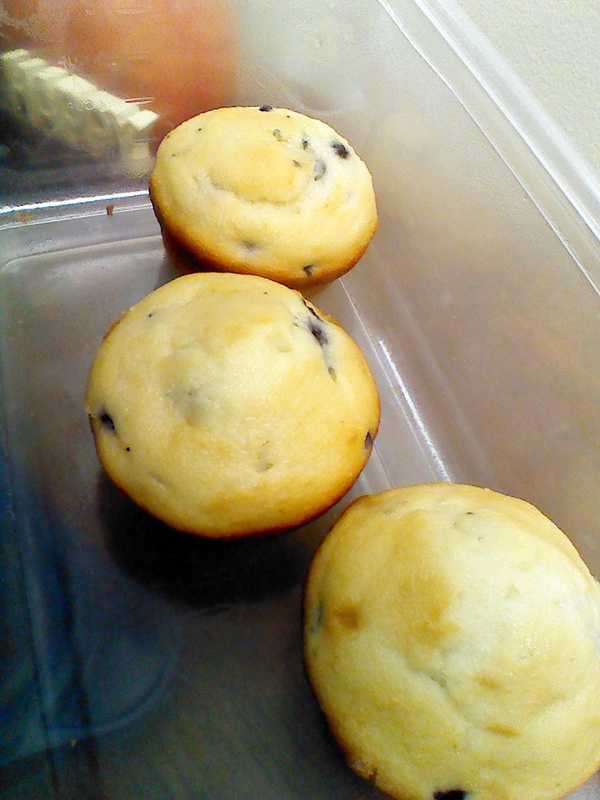 In Phonics this week we are learning the consonant M. M is for muffin, moose, and marshmallow. Capital M is 2 tall sticks with a valley in between. Little m is a little stick with 2 humps. This week in Numbers we are reviewing 1-7. We are learning the concept of 8. We will be counting to 20. M says m, m, m, m.
Milk and moon and money. Please review Bible verse, Phonics, and Numbers at home 🙂 We are going to have a Magnificent week! There will be NO SCHOOL Friday, October 31. I enjoyed meeting with all of you on Friday! SIGNED report cards are due back to school Wednesday, October 22. Show and Tell for the letter M will be on Friday, October 25. Please bring a show and tell that can fit inside of your child’ s backpack. Don’t forget to check the Wednesday Word and our school website (vcagators.net) for weekly info! Sign up for Class News if you have not already done so! This week (October 13-October 17) in Bible we are going to listen to review “David the Shepherd” and “David and Goliath”. We will be reviewing our memory verses again and there will not be an assessment this week. In Phonics this week we are learning the short vowel N. N is for noodles, noisy, and nest. Capital N is 2 tall sticks with a slide in between. Little n is a little stick with a hump. This week in Numbers we are reviewing 1-7. We will be counting to 20. Nicky Narwhal, Nicky Narwhal. N says n, n, n, n. Nest and net and nickel. Nose and nurse and numbers. N says n, n, n, n.
Please review Bible verse, Phonics, and Numbers at home 🙂 We are going to have a blast this week! There will be NO SCHOOL Friday October 17 for mandatory Parent/Teacher Conferences. Please sign up in the office if you have not already done so. Report Cards will be sent home at the conference. Show and Tell for the letter N will be on Thursday, October 16. Please bring a show and tell that can fit inside of your child’ s backpack. Red Barn Farm is coming to VCA Thursday, October 16. Permission slips and $7.00 were due last Friday. Please turn both in before Wednesday.